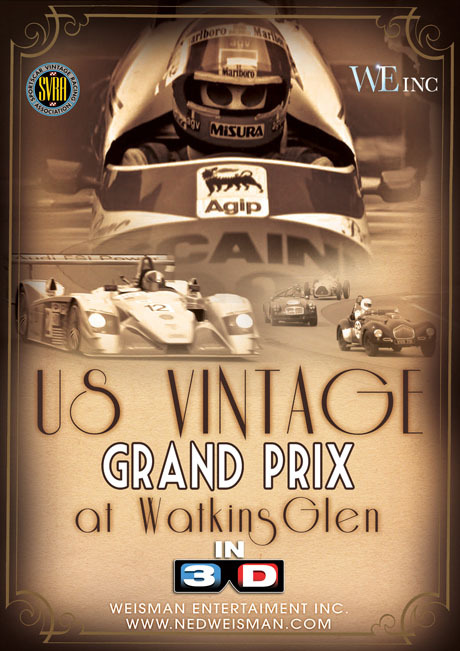 Set in the beautiful rolling hills of the finger lakes region of upstate New York, The US Vintage Grand Prix at Watkins Glen is a thrill ride in classic cars. 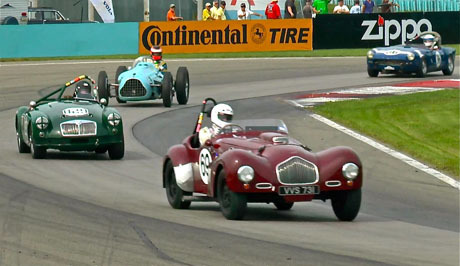 With cameras mounted in cars, on cars and in multiple camera positions around the historic Watkins Glen Race Track you can almost smell the rubber burning from the priceless antique and classic cars racing nose to tail on the track. 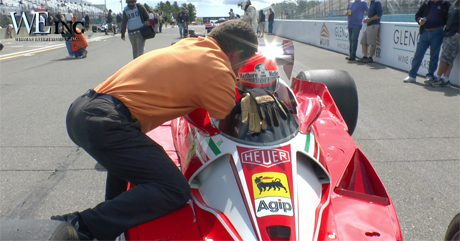 We will also take you to the Grand Prix Festival of Watkins Glen. The festival celebrates the first post WW2 road race in the USA in 1948. Thousands of spectators line the race course through the streets and countryside to see the recreation of the original race now run by hundreds of antique, classic and some of today’s fastest cars. A special bonus is just discovered footage of the final Formula One Grand Prix at Watki ns Glen in 1982.